Could You Sing This At Your Wedding And Beyond? It is a powerful passage that has been abused and misused over the years. But the point is that – just as we should take up the heart of a servant – like Jesus did for us by his demonstration and example – so husbands and wives should live in submission to each other. If there is physical and emotional abuse – it should not be tolerated and backed up with the above scripture – as God clearly wants us to live as servants to each other. As Stephen was talking – something stood out to me. He said, “Husbands should be spending all of themselves on their wives.” As a musician, my mind quickly thought of the lyrics where I had heard that terminology before: Jon McLaughlin – “A Song You Might Hear At A Wedding”. These song lyrics are powerful and I encourage you to listen to this great song video. It is the beautiful expression of a man for his wife. You will love the line “I promise to spend the rest of me on you”. Powerful and poignant. When was the last time you spent yourself on someone? As a husband or wife – do you practice this each day? Isn’t it about time? 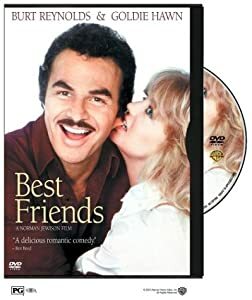 Greg and I LOVE this movie made in 1982 with Goldie Hawn and Bert Reynolds. I double dog DARE you not to laugh right out loud as you watch this crazy ‘wedding vow’ scene below with the minister they could NOT understand! ‘I Dee and Doe’ – is our favorite part! Makes me giggle every time!! Enjoy!